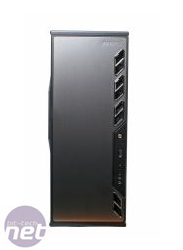 It must be a tricky business designing PC cases. There’s just so much to take into consideration to make sure that the end product isn’t going to end up in the fail pile. 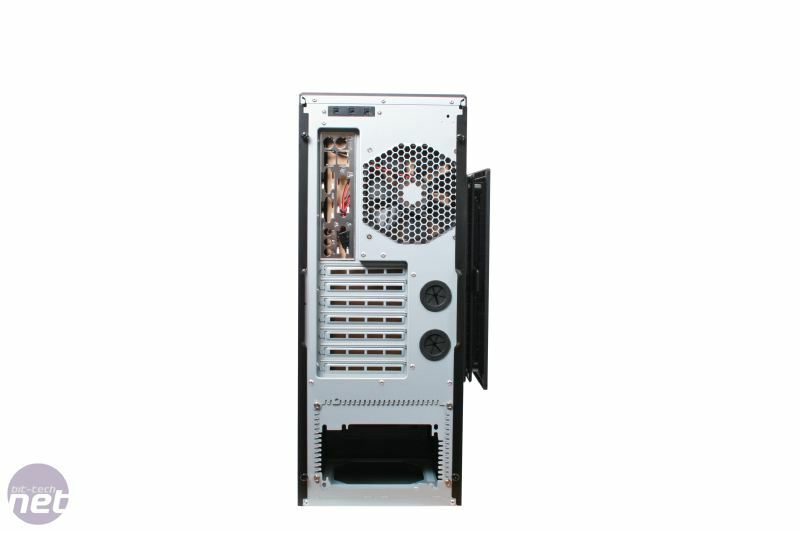 You need to get the size right for your target end user, ensure there’s enough drive bays, make sure hardware can be installed without any conflicts and nothing gets in the way of precious airflow. You need to have plenty of fans in the right places, make sure they’re not too loud but not too expensive so profit is lost and you have to make sure it’s attractive and desirable. The materials have to be good quality, but there’s probably going to be some plastic in there so it needs to be used while avoiding the appearance of being cheap. Nightmare. 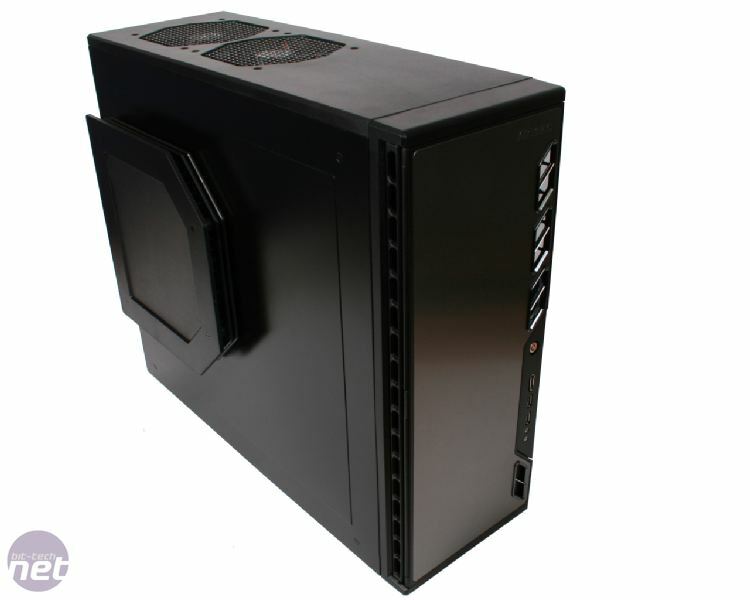 A few companies have really been stepping up to the mark in recent years and one of them is Antec. 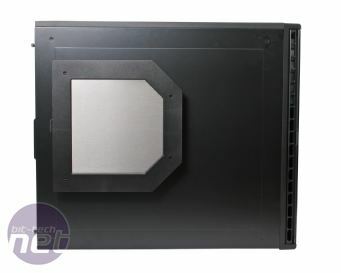 Since core hardware started to get even hotter than McDonald’s Apple Pies they’ve added more and bigger fans to their cases allowing us all to enjoy gaming sessions void of heat-related shutdowns. If first impressions are to be paid heed, then the Antec P193 is one such a case. 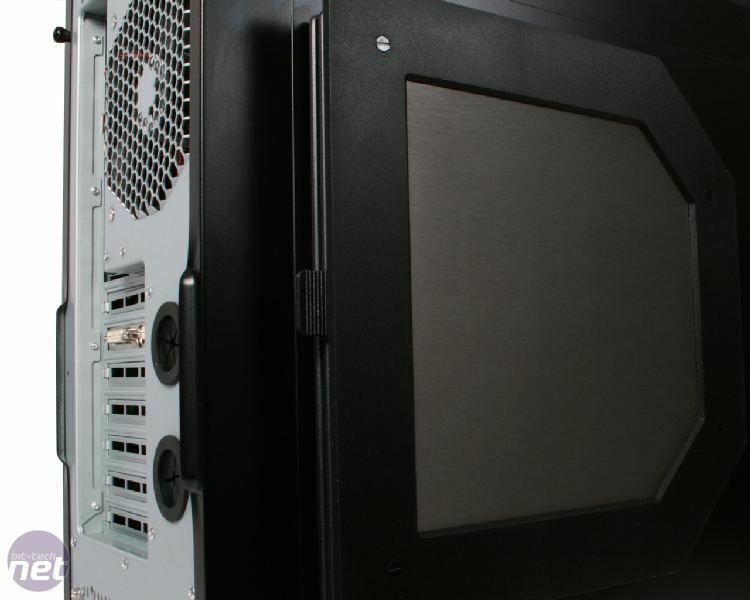 The P193 is an updated version of the Antec P190, an awesome EATX bad boy with plenty of just about everything you could want from a chassis. However it did have a couple of issues. First was the side panel fan which was bolted to the inside of the side panel, causing conflicts with oversized HSFs. Next was the monstrous £240 price tag. 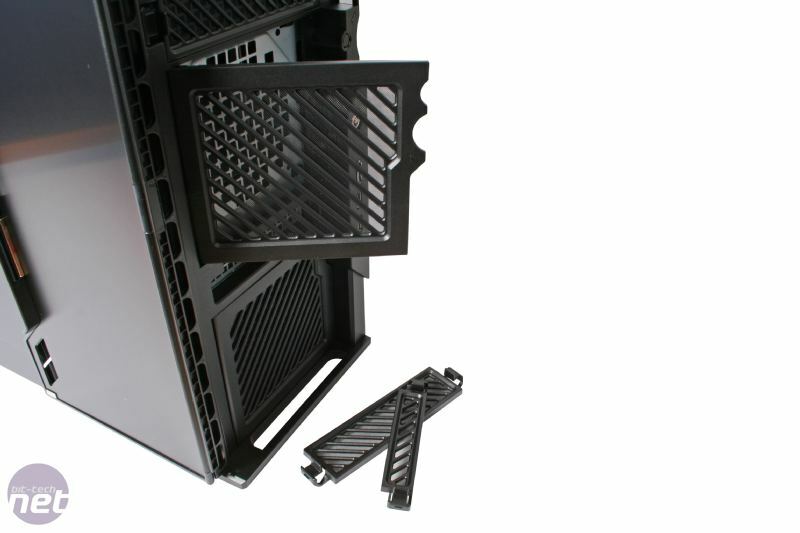 Antec's engineers, being the clever bunch that they are have addressed both of these problems though. The P193 is £100 cheaper than the P190 when we saw it last year, a very pleasant surprise. A surprise that may not be so pleasant to many is the addition of the side panel fan mount. 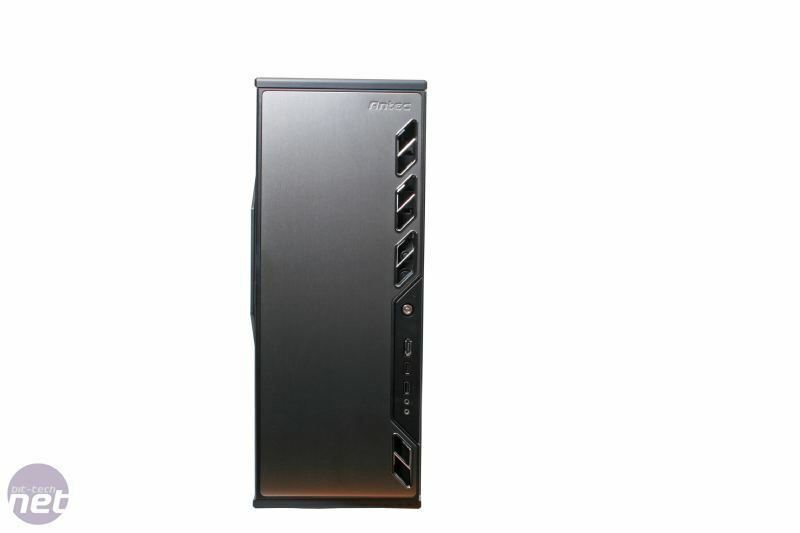 Whether you think this looks good or not is really down to preference but its does go against the usual sleek, simple edges usually associated with the any of the other Performance One range of cases. On a personal note, I wouldn’t say it was prettiest part of a case but I wouldn’t be too thrilled to wake up with it lying next to me in bed either. 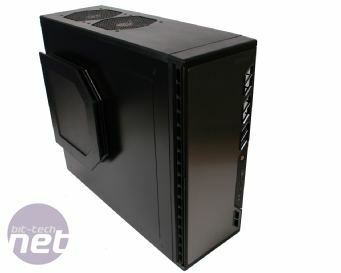 Antec has done well to hide the fact that so much plastic has been used. The front fascia is plastic, a fact that’s belied by its subtle metallic finish. The chrome touches that run down one side add to the metallic appearance, but are in fact also plastic. 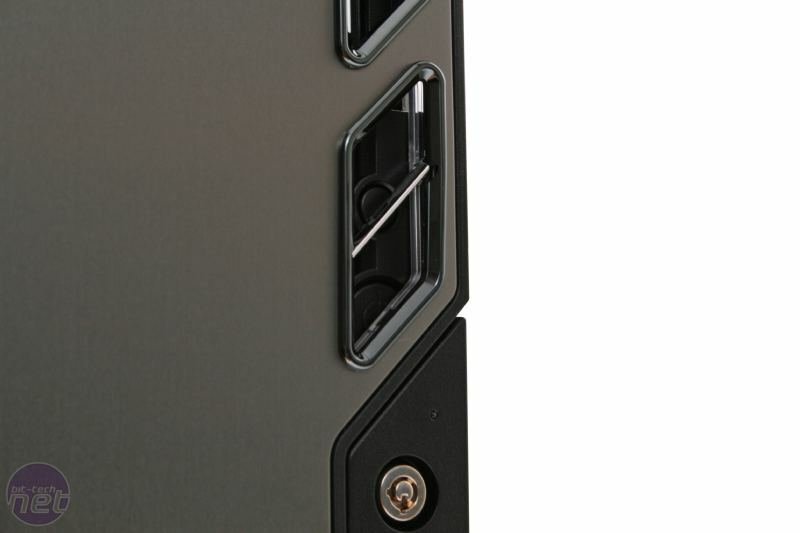 Like the P190, the fascia opens up on a double hinge, allowing it to sit flush with the side panel. 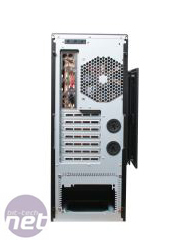 This not only looks much tidier, but is also safer than having it sitting open at some awkward angle for a drunken friend to stagger into and break (like to me once happened to me on my Lian Li V2100). Behind the door can be found the bezels for the two 120mm fan mounts, four external 5.25in bays and single external 3.5in bay. Each of the bezels are removable via the front of the case and areal very neatly and individually backed with dust filters that can be removed for easy cleaning. 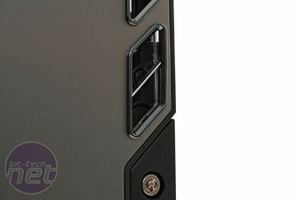 To one side of the door are the front I/O ports which include two USB 2.0 ports, an eSATA port and headphone and mic jacks. There’s also a keyhole which allows you to lock the case door though realistically, someone could use your PC for everything except putting a disc in anyway. The power button is only partially obstructed by one of the chrome-lined cut outs at the front but can still be be pressed. It’s covered just enough to necessitate the awkward waggling of a finger to hit it, but not quite enough to justify opening the door to press.